A tu art o absolutnym hicie tego objazdu… Sekcja morska Team.. roger.. over.. 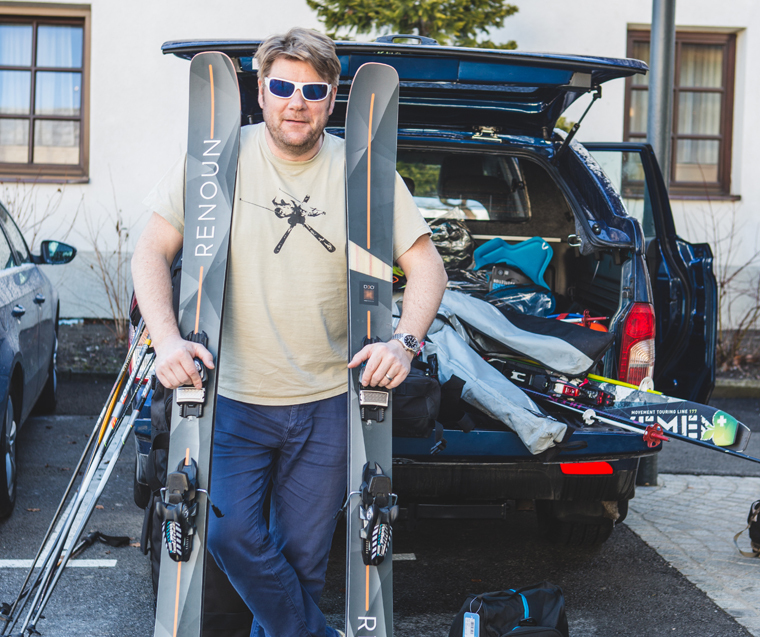 Skis: Renoun Endurance. Conditions: mainly bullet piste! Jeez, after all the recent snow the best we got in Zermatt was zero vis and a howling gale, which blew the snow into Italy (and shut the lifts down do we couldn’t chase it over there). Anyhow, I was chasing my lethally rapid brother on his Stöckli Stormriders, super-stiff speed machines around 84mm wide, and the Renouns hung in very nicely, laying some decent trenches into rock-hard piste and switching direction very accurately. They feel a little twitchy at speed, but I reckon they’re a bit more forward mounted than usual – which I happen to like because I’d trade flickability for flat-out piste stability any time as long as they don’t twitch out on me; which they never did. Turn radius (nominally 22m – now a little tighter in this season’s version) seemed fine and could be varied with pressure, though they’re quite stiff underfoot so need some work. They sideslipped easily if needed without grabbing, despite feeling very locked in when railing, so the flex is well dialled in. Once we found a few stashes over on the lower side, it was time to have a little bounce around. Good float; no need to back seat to keep the tips out; nice flex to let you speed up or ease back the radius. COULD THESE BOUTIQUE SKIS BE THE NEXT BIG THING? 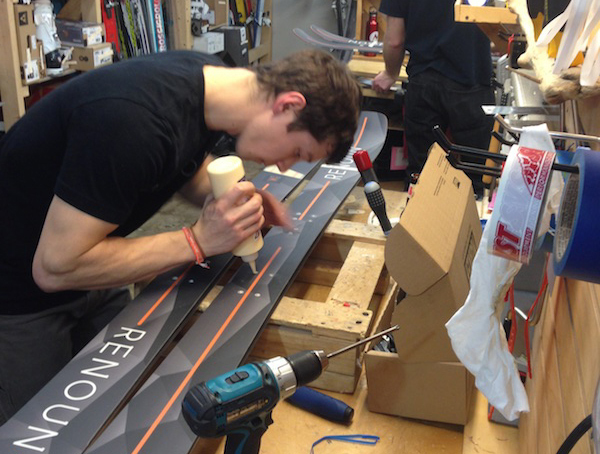 Renoun is what we’d call a boutique maker, hand-constructing multiple layered, triax wrapped skis: continually tweaking and evolving. The version of the Endurance I tested had D30 damping materials running along the binding mounts; it’s been replaced by HDT material for the current production run. There are high-spec materials running throughout – they need to be there to justify the costs of low-run production. Not sure I really picked up the damping fancy-pants being hugely different from other upper end skis, but they held it together at alarming speeds on unpleasantly chattery piste so are well controlled. I’d class these as an upper-end all-mountain through to freeride ski; extraordinarily composed for something straight out of the blocks. Let’s see if they make it over to Europe officially. Kategorie: Narty. Tagi: custom ski, freeride, korbielów, narty, skitour. Autor: Mądra Głowa. Dodaj zakładkę do bezpośredniego odnośnika.